Want To Learn All About VOIP Conference Phones? The VOIP (also known as Voice Over IP) industry is growing on a rapid pace and this pace is a clear indication that this industry is not going to end any time soon. The audio conferences done using the VOIP are very much similar to the traditional conference calls that we make through the analog telephones. Just like all the other conference calls where the callers connect to a conference bridge, the VOIP conference calls work on the same principle of connecting people through a conference bridge. The only difference lies in the transfer of data from one point to another, traditional conference calls use circuit switching and the VOIP conferences work on packet switching. Circuit switching works on open connection whereas in packet switching, the data gets transferred in the form small chunks called “packets”. Now, you might be wondering that which conferencing solution is the best one for you and what makes the VOIP conference phones so special. Well, don’t worry because you are at the right place reading the right article. Today we are going to tell you all about the VOIP phones and why do they make a better option than the other ones. When it comes to VoIP the traditional switches are removed from it and only the local ones stay in the formula because these local switches help to jump from one network to the other. Your call won’t be disconnected if you’ve got a stable internet connection. So, yes the VoIP conference are definitely a good option if you don’t want the calls to disconnect. As far as the sound quality is concerned, the VoIP offers a very credible sound quality. If you implement the VoIP well, you will get a high quality audio for sure but on the other hand you may face some variability in the quality because controlling the end to end solution is a bit difficult. 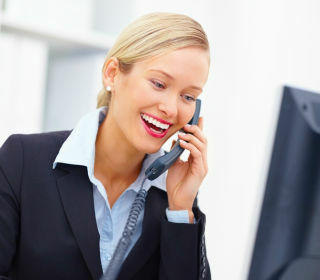 With VoIP conference phones,you no longer have to worry about the compatibility, disconnections and sound quality issues because VoIP is completely reliable and you won’t have to worry about the muffled up connections and all the issues that a traditional conference call has. The basic reason why service providers turn to VoIP is because it is less expensive than the other services. The low cost is the basic motivation for them to buy it and the best part about the VoIP is that you won’t suffer with a poor quality and it will provide you the best connection rates and sound quality which is surely what you want. The voice over IP conference phones are a good option for you if you are ready to spend a few dollars on a quality service. The best part about these phones is that you can take them anywhere with you where there is a good internet connection. Also, the incoming calls are automatically routed to your VoIP phone whenever you plug in the internet connection. So, yes the VoIP phones are a better option than the traditional ones.